The Inspector General of Police (IGP), Mr Adamu Mohammed, on Monday, paid a courtesy visit to the Governor of Lagos State, Mr Akinwunmi Ambode, over recent cases of extra-judicial killings recorded in the state, vowing that all the affected officers would be charged to court and made to face the full wrath of the law. Speaking at Lagos House in Alausa, Ikeja, Mohammed, who was accompanied on the visit by top police chiefs, said the affected officers have already been arrested and tried internally, but that they would also face criminal prosecution for such act, which according to him, was against ethics of the Force. “I came to pay a courtesy visit to the Governor because I am in Lagos State to see the officers and men of the Nigeria Police Force. I came to talk to them on good behaviour and to remind them of ethics of the job. We are to serve members of the public; we are not their masters, we are their servants. 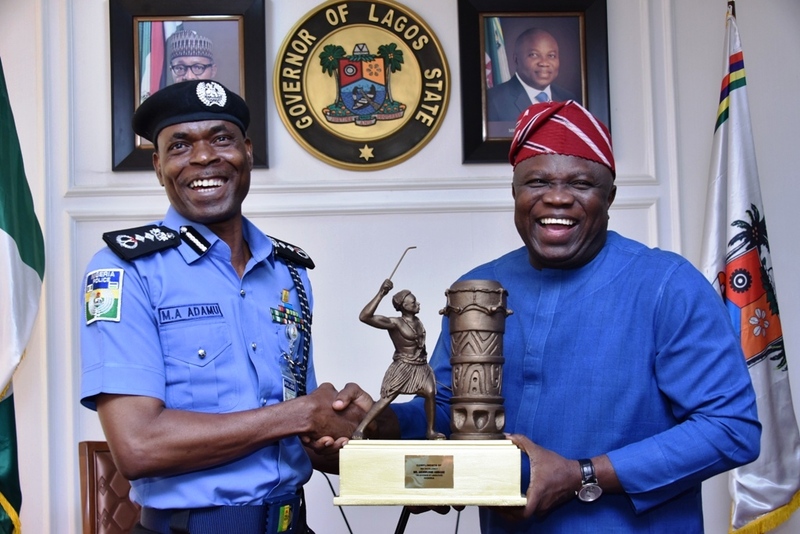 He also commended Ambode for the massive support to police and other security agencies in the State, saying the successes recorded in keeping the State safe would not have been possible if not for the support of the Governor. Responding, Ambode commended the IGP for taking it upon himself to promptly address the extra-judicial killings in the state personally, despite his responsibilities across the country, saying it shows responsiveness and seriousness with which the issue was being handled by the police chief. “I empathise with the IGP because last week, he was in Zamfara; today he is in Lagos and tomorrow he would be in other places. Policing Nigeria is a big challenge but again he is up to the task and we wish him well in his assignment,” Ambode said.